David Cook (BChD) , the principal at London Holistic Dental Centre, qualified at Leeds university in 1987. He has been in general practice since then, developing and refining his special interests in aesthetic dentistry, smile design, minimally invasive treatment, bite problems, headaches and major dental rehabilitation. David spends a great deal of time on postgraduate professional development, attending courses internationally and at home. He encourages and supports all members of his team to pursue similar educational aims. 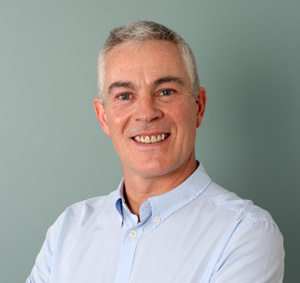 He studies orthodontics under Dr Derek Mahony, one of the foremost international specialist educators. His three year residency program focuses on diagnosis and treatment for ultimate facial aesthetics and functional harmony. David has gained tremendous experience utilizing the latest techniques and systems for predictable, comfortable and stable results. David is one of a limited number of European dentists with advanced training and practical experience from the prestigious Las Vegas Institute of Advanced Dentistry. Outside of the practice he enjoys travel, music, wine and reading. He keeps fit by playing badminton and cycling.